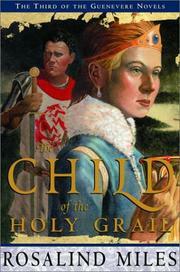 In this final installment in the Guenevere trilogy (Knight of the Sacred Lake, 2000, etc. ), Miles gives a provocative twist to the search for the Holy Grail—in a beautifully rendered and elegiac tale of betrayal, the passing of the old order, and the constancy of true love. Intellectually satisfying historical fiction that's also immensely entertaining.